Situated just 4 minutes from Albany Town Centre, our Luxury Accommodaiton is close to The Albany Wind Farm, The Gap and Natural Bridge stone formations in Torndirrup National Park, walk the Bibbulmun Track, or go yachting, fishing, swimming or surfing at Albany's many beautiful beaches or go on a whale watching cruise on the King George Sound. Visit one of many restaurants including the Naked Bean Coffee House and go shopping in Albany's fabulous shops. Take a days excursion to Valley of the Giant Tree Top Walk and the Ancient Empires Walk, Denmark's Chocolate Factory or Duncans Cheese Company, Montgomery Hill Winery and restaurant, Visit Greens Pool in William Bay National Park for a swim Bartholomews's Meadery for some Honey Wine and ice cream, or the Fudge Factory, or visit the many attractions throughout the Albany Region for a perfect day out. If you don't want to go anywhere. just sit back on our beautiful rural property and enjoy your 4 star accommodation at Albany Summer House Retreat and relax in peace and comfort. 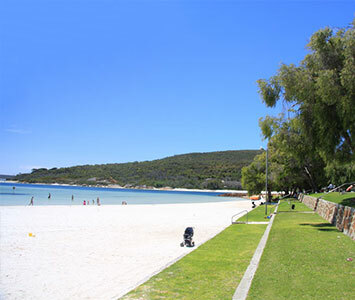 Albany also has a number of historic tourist sites including the Museum, Albany Convict Gaol, The Princess Royal Fortress (commonly known as The Forts), Patrick Taylor Cottage, ("is the oldest dwelling in Western Australia, c1832"). Albany has a great deal of historical significance to Western Australia. The beaches have pristine white sand. The destroyer HMAS Perth was sunk in King George Sound in 2001 as a dive wreck. Albany is also close to two mountain ranges, the Porongurups and Stirling Ranges. Gull Rock / Boiler Beach north of Albany City Centre. Albany is also the southern terminus of the Bibbulmun Track walking trail. 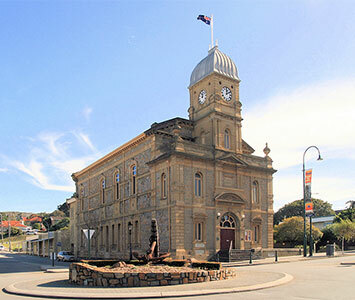 Denmark, Mount Barker, and the Porongurups are all comfortable days excursions. 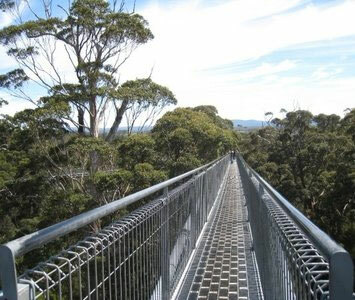 Highlights include the award winning Valley of the Giants Tree Top Walk, lunch at Karri Mia, gorgeous Kari country and costal scenery, wine tasting and the Bibbulmun Track. "With over a dozen National Parks and Reserves, the Rainbow Coast encompasses an international biosphere reserve with species of plants and animals which you will find no where else in the world.